Weighing in at just over 2 lbs. and with a short barrel length of 3.8 inches, the right CZ 75 Compact holster would do well to conceal this amazing firearm. Alien Gear CZ 75 c Holsters provides the most comfortable concealed carry holsters ever made for your CZ pistol: the Cloak Tuck 3.0 IWB holster. 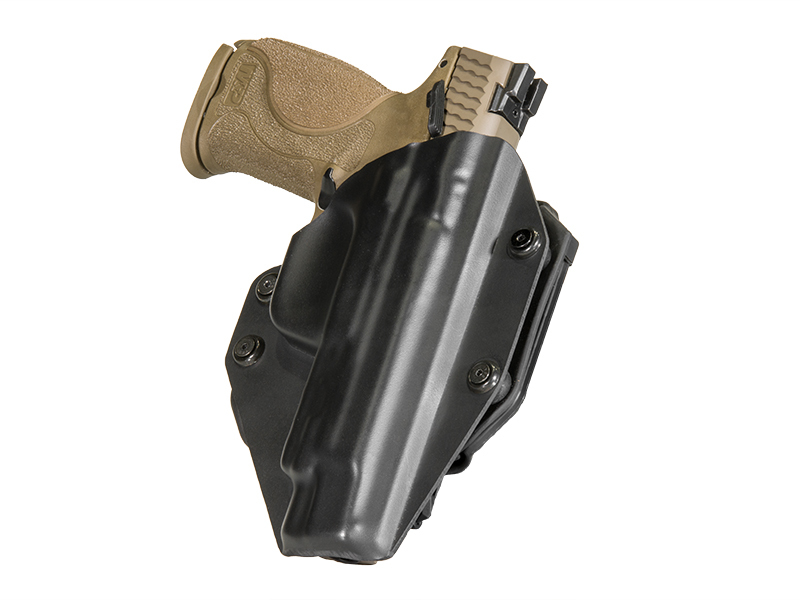 This advanced hybrid holster will keep your CZ 75 within arms reach while providing you with the most comfortable carry ever achieved by mankind. Crafted by a trained team of engineers, the holster shell of the Cloak Tuck 3.0 will cover you’re the barrel of your pistol. 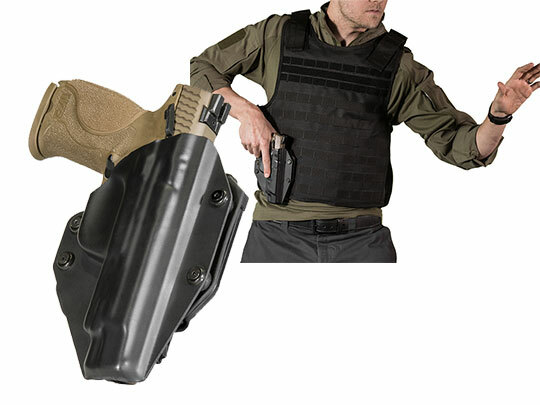 This full coverage will prevent your pistol from being damaged when holstering. It will also keep your front sight from getting caught on the inside of your pants. 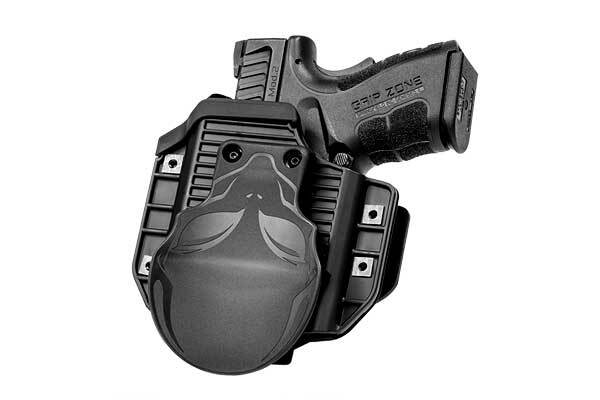 To provide the comfort to your side that Alien Gear Holsters are known for, we have integrated a cushy layer of neoprene into the back of the CZ 75c IWB holster base. This material will rest against your side, providing you with all-day comfort. Some say that they forget wearing their Alien Gear Holster until they need it. You want to keep your CZ 75 safe and secure. 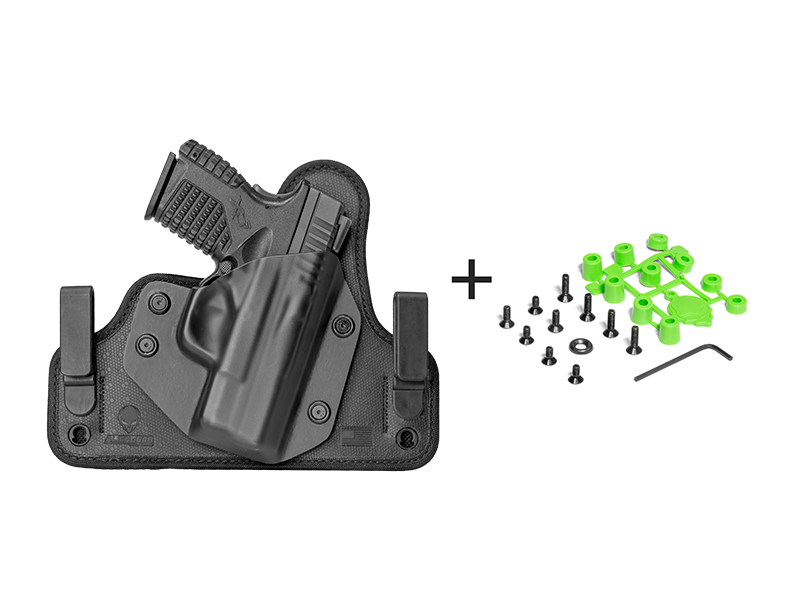 This is why we’ve created a cz75c holster with adjustable retention. Get the draw you want with just the turn of a few screws. Your CZ 75 compact pistol is strong. 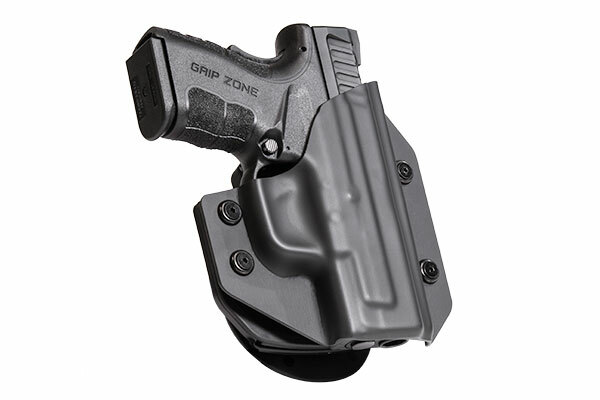 Pair it up with a concealed carry holster as strong as the gun you’d like to carry. 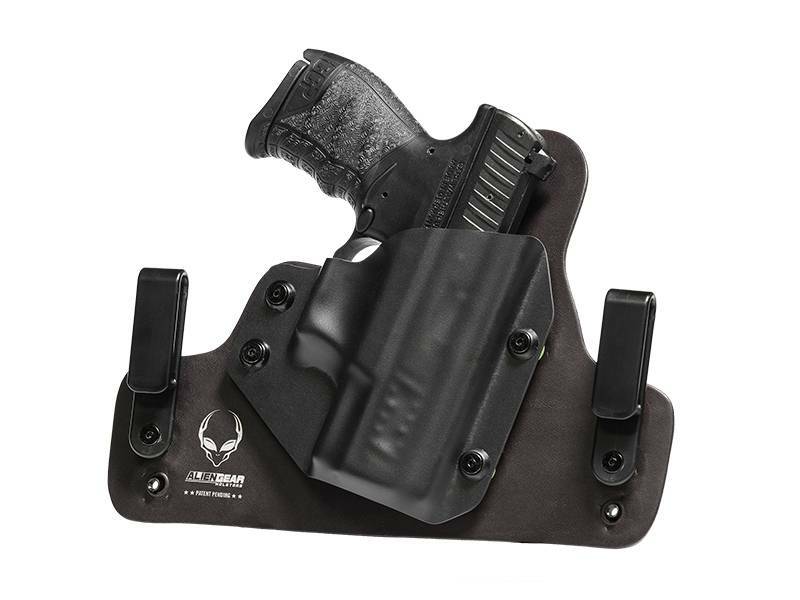 A spring-steel core and a layer of ballistic nylon have reinforced the Cloak Tuck 3.0, providing this gun holster with an unparalleled level of strength and fortitude. Alien Gear Holsters also offers a durable Cloak Slide CZ 75c OWB holster if you’d prefer to carry your CZ 75 on the outside of your waistband. 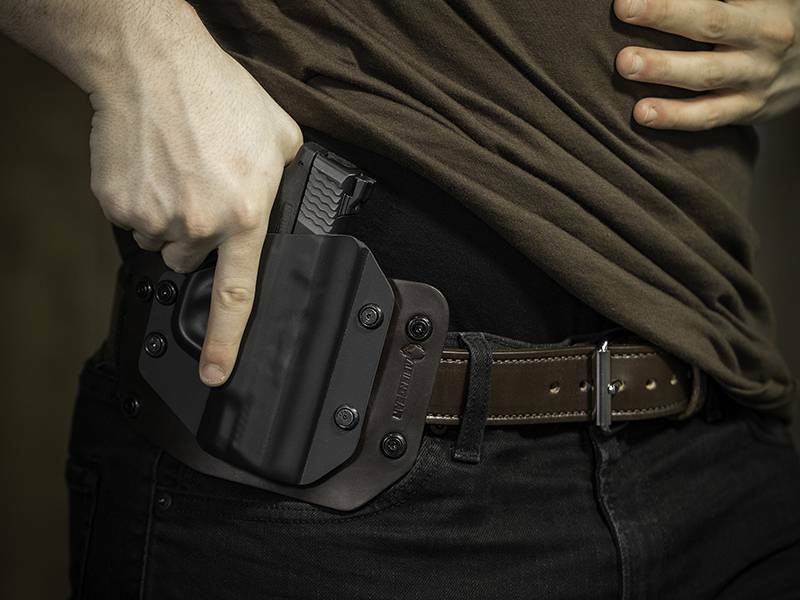 The Cloak Slide has been equipped with a leather base and a holster shell that can also be adjusted to the specific retention you’re looking for. Every Alien Gear Holster is backed by an Iron-Clad Triple Guarantee and a Forever Warranty.